Parenting isn’t easy. That’s the understatement of the year, right? But keep this in mind: God chose you to be the parent of your children. So raise them based on who they are, not who you expect them to be—it makes all the difference. Tune in to Chris Brown's True Stewardship Today! Children are great—and they are gifts from God (Psalm 127:3). But that can be hard to remember when they’re screaming at the top of their lungs in the grocery store or playing video games when they should be doing their homework. You might have been the well-behaved, “color inside the lines” child. But our kids aren’t always like us. Maybe you ended up with a spontaneous, “rules are more like guidelines” son. Or perhaps you were an athlete and your daughter would rather paint than pick up a soccer ball. 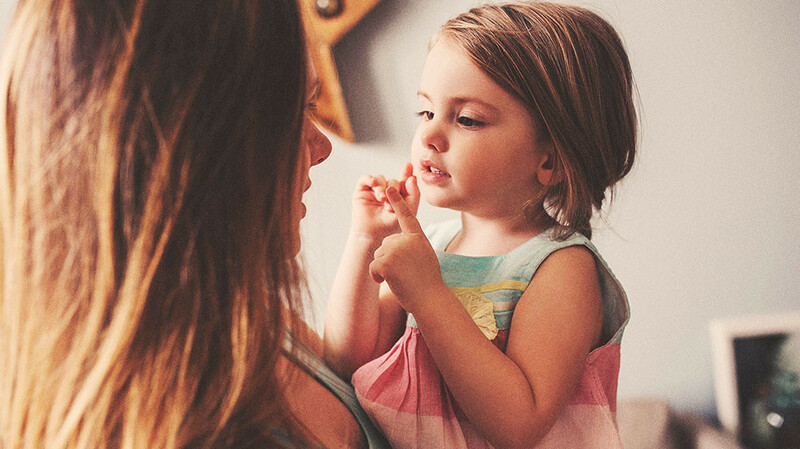 Children aren’t one size fits all—so your parenting style shouldn’t be either. Related: Teach your kids how to steward their money with Smart Money Smart Kids! Use promo code "ChrisBrown" to get $10 off today! But how do you keep that perspective when you’re in the trenches? We have three tips to get you started. But before you do any of them, take a deep breath and keep this in mind: God chose you to be the parent of your child. He’s your greatest cheerleader on this wild parenting journey. You might be thinking, Of course I accept the child I have! I love my kid. There’s no doubt you love your little one, but you may need to come to terms with the fact that your son isn’t going to be the football star you always envisioned. Or your daughter isn’t as naturally gifted in science as you were. And that’s totally okay. God created each of us with our own strengths and gifts. That isn’t grounds to let your kids break all the rules. But sometimes we stick our kids in a box that we imagined for them—a box they don’t belong in. Instead of trying to force them into a mold that isn’t their own, encourage them to be who God made them to be. Kids respond to parenting techniques differently. Who would have thought? Your oldest child might respond well to strict guidelines. They may find black-and-white rules stable and comforting, and that’s how they thrive. Meanwhile, your youngest child could spiral into a rebellion if they aren’t allowed some wiggle room. Just because one style works for child #1 doesn’t mean it’ll work for child #2 or #3. Learning to speak the language of your kid takes time, but it pays off when you start bickering less and working together more. You want your kids to work hard, show respect, and be generous—these are basic expectations. And if you’ve mapped out a family constitution, these should be common knowledge to everyone under your roof. But your kids aren’t going to be in the same season of life at the same time. And their unique personalities will make them handle responsibilities and experiences differently. Set expectations for each of your kids based on who they are and where they are in life. God wired your first child differently than your second child. That doesn’t mean one should slack off while the other works their tail off. But take their personalities and life stages into consideration when you’re communicating (and enforcing) your expectations. Parenting isn’t easy. That’s the understatement of the year, right? But as you ride out the waves of parenthood, keep in mind that you can raise smart, responsible adults. You have it in you. God specifically chose you. It wasn’t a spur-of-the-moment decision, and He wasn’t thinking, I sure hope this works out. It isn’t easy, but parenting your children based on who they are, not who you expect them to be, makes all the difference. Learn how to teach your children about money with Smart Money Smart Kids. Use promo code "ChrisBrown" to get $10 off and order your membership today!